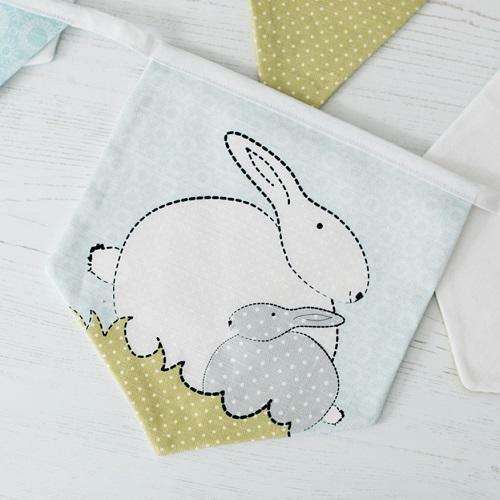 This beautiful bunny bunting is ideal for creating a bunny themed nursery! 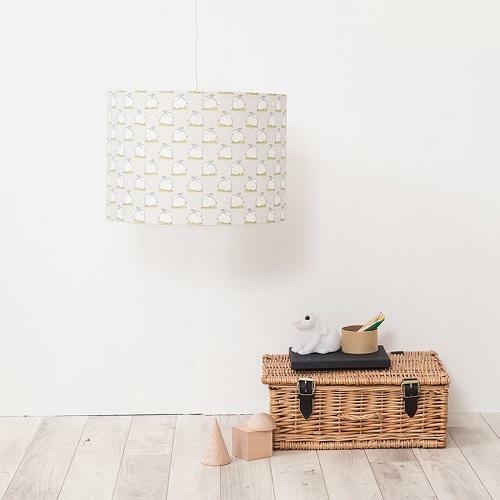 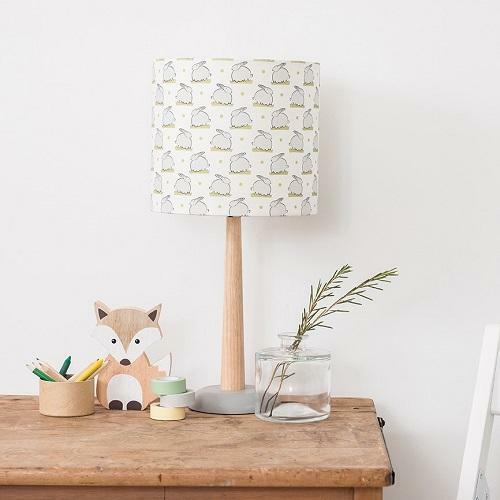 Featuring original fabric prints, it’s great for decorating those nursery walls. 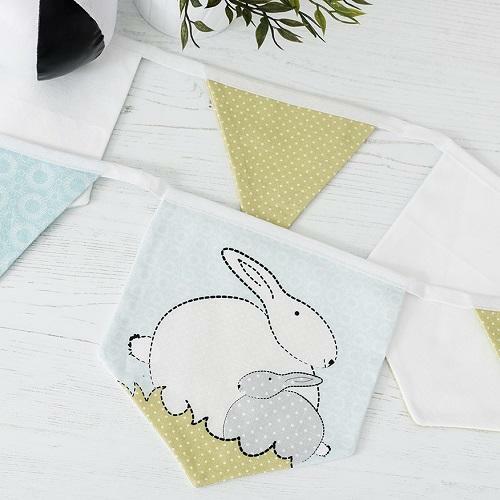 The perfect way to create a bunny themed nursery, this beautiful length of bunting features an exclusive fabric design which has been created from our textile applique artwork. 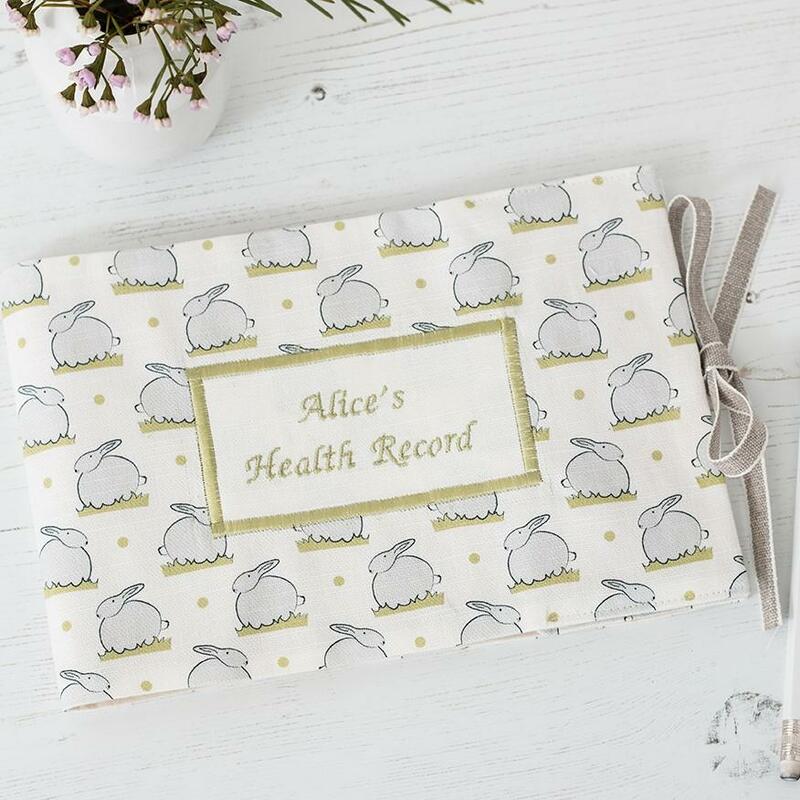 The fabric design has been carefully reproduced to keep the stitched detail in our original piece of textile art, making sure that we capture the sweet bobbly tails and contented faces of our little bunnies. 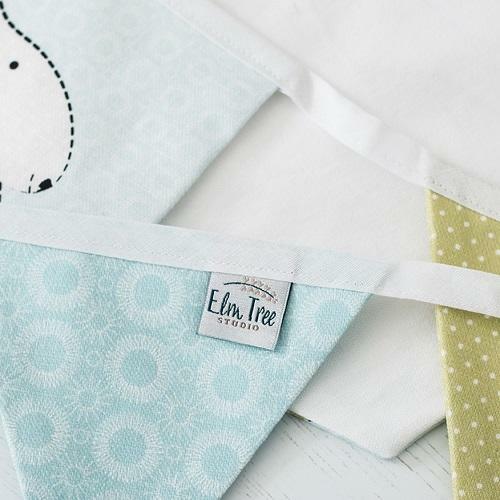 In shades of blue and green with grey and white detail, the bunny bunting is perfect for boys and girls alike and would make a brilliant new baby gift or baby shower gift. 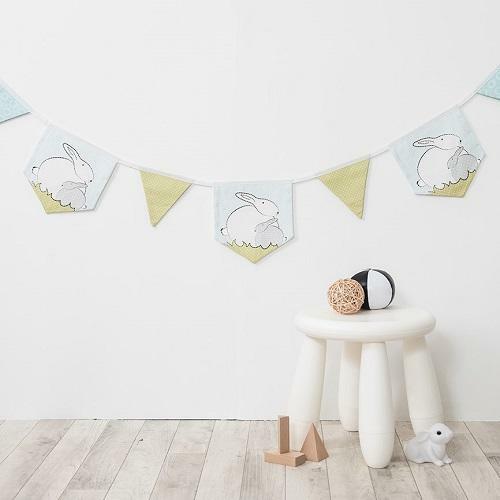 As your child grows, why not make sure they love their bunny nursery décor by reading them books like The Tale of Peter Rabbit, The Velveteen Rabbit, or Guess How Much I Love You? 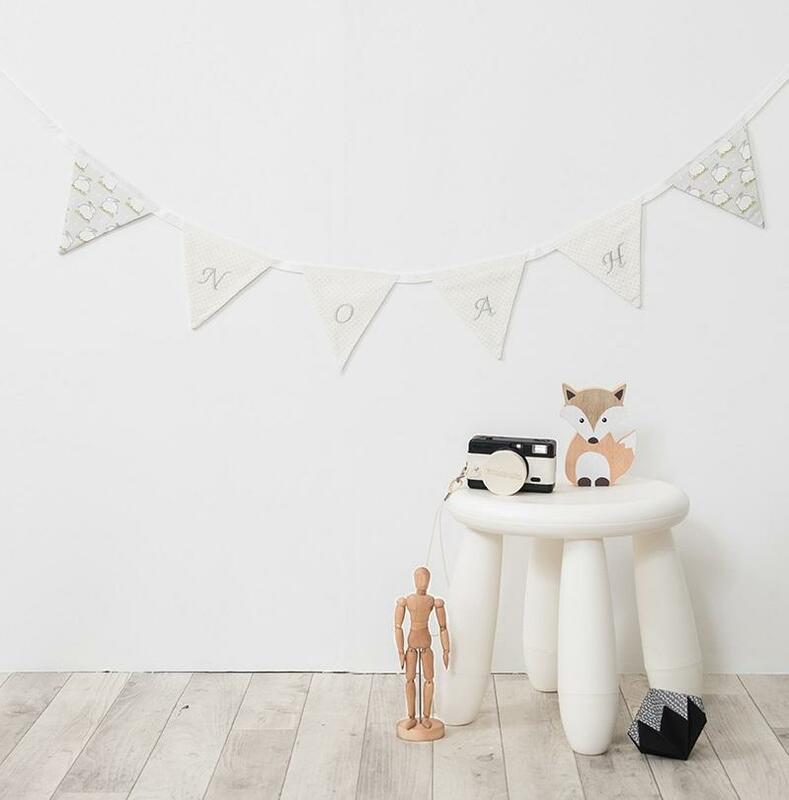 Inspired by the surroundings of our countryside studio, this length of bunny bunting has been created by hand in the UK and is made with natural, environmentally sustainable fibres. 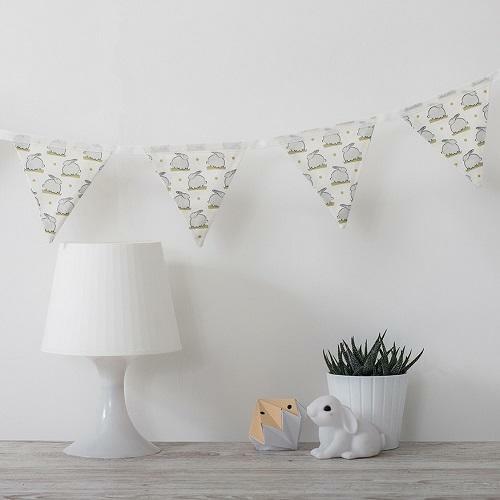 Each length of bunting features three larger printed flags (featuring our lovely bunny illustration on the front with a white twill reverse) interspersed with smaller double-sided triangle flags in complementary colours and prints. 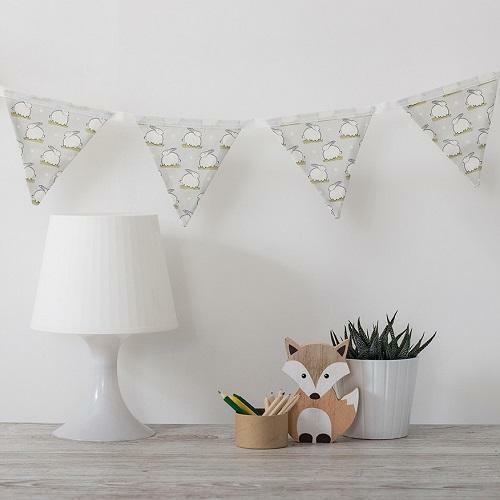 The bunting flags are sewn onto white cotton tape, with approximately 30cm of free tape at each side so that you can secure it to your walls, window, or across your curtain pole.